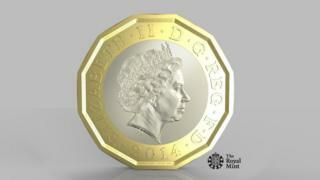 The new 12-sided £1 coin will finally be here on 28 March. The old coin became a problem as they were easily illegally copied which meant that lots of worthless pound coins have been in circulation. 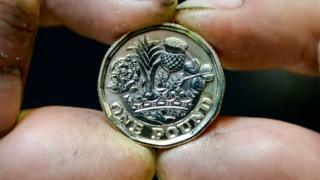 The new coin was announced in 2014 and the Royal Mint, who create the coins, said that this one will be "the most secure coin in the world" making the pound coins harder to illegally copy. Why are they so secure? The new coins look a lot different to the old ones but that's not the best bit. It has a picture like a hologram that changes from a '£' symbol to the number '1' when the coin is seen from different angles with all sorts of added extras to the way the coin looks. There is even a hidden high-security feature built into the coin to protect it from being illegally copied but the details haven't been made public. What images are on the coin? 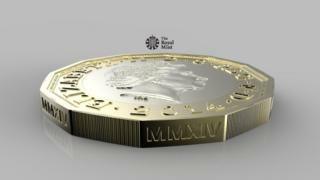 The design on the 'tails' side of the coin features four emblems to represent each of the nations of the United Kingdom - the English rose, the leek for Wales, the Scottish thistle, and the shamrock for Northern Ireland - emerging from a single stem within a crown. What do you do with your old coins? 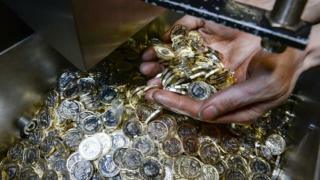 You will still be able to use the round £1 coin until 15th October, after that date they then become worthless. People will have to swap their old coins for new ones at the bank, so get those coins out of your piggy banks! It's thought that around a third of the £1.3 billion worth of coins stored in piggy banks or saving jars around the UK, are the current £1 style.